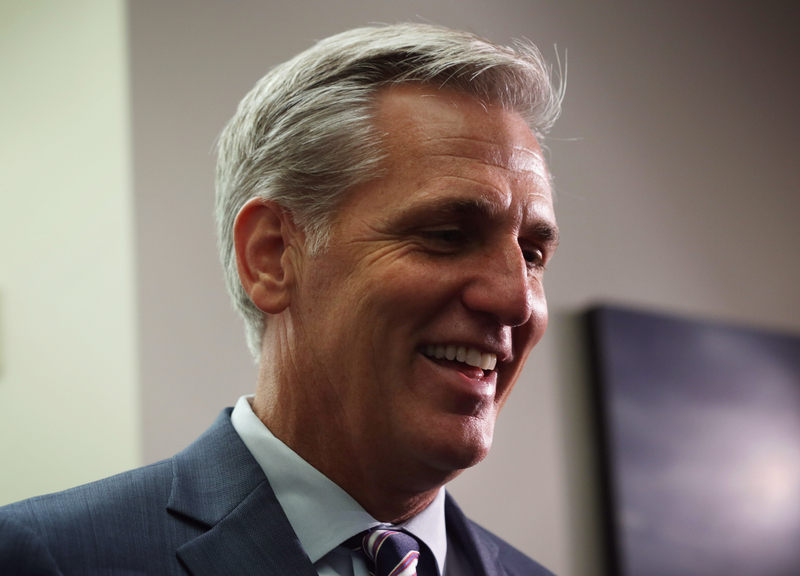 Who Is Kevin McCarthy, The House Speaker Candidate Vying To Replace John Boehner? Since John Boehner announced his resignation from the position of Speaker of the House of Representatives last week, the nation has wondered who will replace him. Monday, Republican House Majority Leader Kevin McCarthy announced that he would gladly take over Boehner's position. In an e-mail to House Republicans, McCarthy wrote: "If elected speaker, I promise you that we will have the courage to lead the fight for our conservative principles and make our case to the American people. But we will also have the wisdom to listen to our constituents and each other so that we always move forward together." So who is Kevin McCarthy, the congressman who wants Boehner's job? McCarthy, 50, represents California's 23rd district in the House of Representatives. He was first elected to Congress in 2006, and quickly worked his way up the congressional ladder, becoming the House Republican chief deputy whip in 2009, the House majority whip in 2011, and the Republican House majority leader last year, after Eric Cantor lost his bid for reelection. As CNN reported, if McCarthy is appointed the speaker of the House, it would be one of the fastest ascents to the prominent position in recent history. The Republican is the grandson of a cattle rancher and the son of a firefighter, according to his congressional biography. When he was 21, he started his own business, Kevin O's Deli, but sold it in order to go to California State University for undergraduate and graduate degrees. His political aspirations began in college, when he interned for Congressman Bill Thomas. He later became a staffer for Thomas. In 2002, he was elected to the California State Assembly, where he became the first freshman legislator to serve as the Assembly Republican Leader. McCarthy's website says: "Kevin will continue to fight for a strong, fiscally responsible, and free America where every person has the ability to achieve the American dream." As a conservative, the congressman fights for lower taxes and strongly opposes abortion. He co-sponsored the No Taxpayer Funding for Abortion and Abortion Insurance Full Disclosure Act of 2015, which would prohibit any taxpayer money from funding abortions or health insurance that covers abortions. In 2010, he pledged to vote against any climate change legislation that would raise taxes for corporations. In the e-mail announcing his candidacy for the Speaker position, McCarthy wrote to his colleagues: "We have made real progress towards shrinking an overgrown federal government and reforming our broken entitlement system. But our work is far from done. We can't ignore the differences that exist, but we can and must heal the divisions in our conference with work, time, and trust. That is why I have decided to run for Speaker of the House and graciously ask for your support." In a news conference following his announcement, Boehner was asked if McCarthy should be the next speaker. He responded, "Listen, I’m not going to be here to vote on the next speaker, but that’s up to the members. But having said that, I think that Kevin McCarthy would make an excellent speaker." House Republicans are scheduled to meet on Tuesday to discuss what to do after Boehner's resignation, but a date for the leadership election has not been set yet.